We can thank Kodak for the launch of consumer photography with the brownie series. It was a shrewd marketing ploy for George Eastman’s Company. 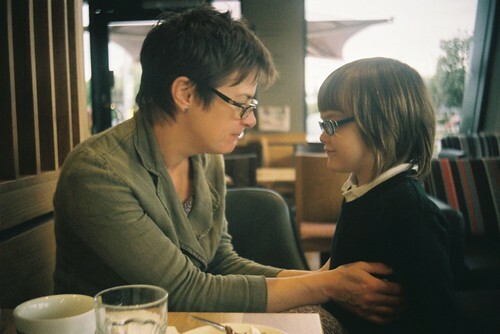 Make a simple cheap reliable camera and folk will buy it and come back for your film. The first Brownie was made in 1900 but a year later the No.2 was launched. Of the box brownies this was the most successful and gave us 120 film. With over 2 million made over 34 years these are widely available and very robust if one of the later aluminium ones (1924 on). The fixed focus simple meniscus lens is covered except when taking a shot and this actually has the most manual controls of any camera in this post with a choice of 3 apertures and a bulb shutter option but not much else. The box brownies meant Kodak set the tone for P&S for the first third of the century. From the 1930’s on more serious photographers could be found clutching cameras with twin lens reflex (TLR) focusing. But for the more snapshot orientated more simplistic cameras that resembled TLR but the viewfinder lens was fixed and not geared to the actual lens and had simpler features. 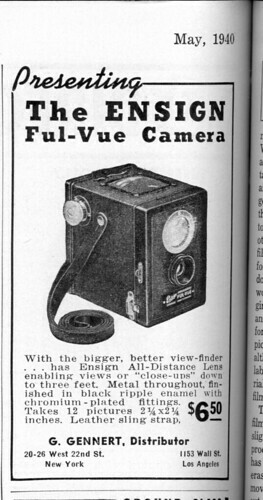 Here I’m focusing on a Very British camera the Ensign Ful-Vue. 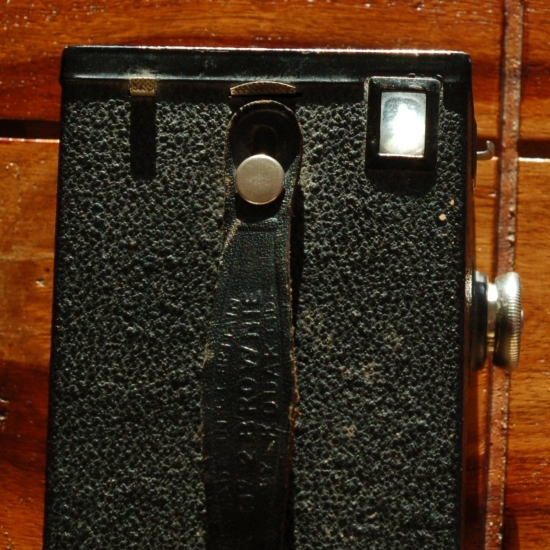 The first model dated from 1939 and although it is a pseudo TLR it looks very metal box camera like. Early Ensign Ful-Vue advert from 1940. Image by Flickr User Camera wiki. This work is licensed under a Creative Commons Attribution-NonCommercial 4.0 International License. It featured a massive brilliant waist level viewfinder. The focus and aperture are fixed and the camera offered a 1/30 or timed (i.e. bulb mode). The camera has a close up mode done by pulling the lens out. But by the end of WWII there was a need for a break from austerity and the camera was redesigned into the 1946 classic Barnet-Ensign Ful-Vue, essentially the same camera but with a more curvy appearance (bit miner helmet). This was followed by the 1950 Ful-Vue II which featured that stable of the P&S – zone focus. Ensign Ful-Vue II. Image courtesy of Alfred Bina. This work is licensed under a Creative Commons Attribution-NoDerivs 2.0 Generic License. Small isn’t exactly Automagic‘s forté compared to later 35mm compacts. However this camera from the 1950’s has all the rudimentary features that appear in more famous P&S from the 60’s and 70’s golden age like the Olympus Trip 35. 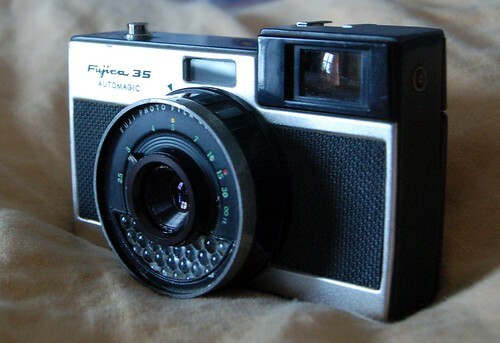 As well as a Fujica glass scale focused lens, the camera is one of the first P&S with automatic exposure. 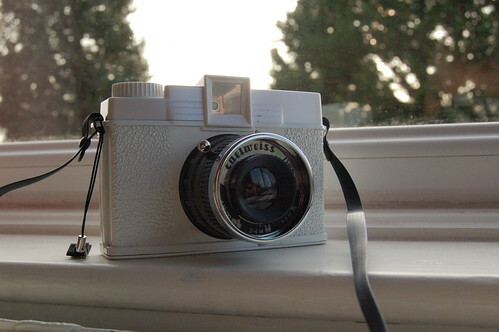 The shutter speed is fixed but the camera’s half cyclops selenium meter controls the aperture blades directly. You could adjust for common consumer film speeds of the day (up to 200 ISO) and you could knock out of automatic mode for flash photography. A quirky, bit bulky camera to use today with an odd focus control but gives a lovely retro image and was a shape of things to come. 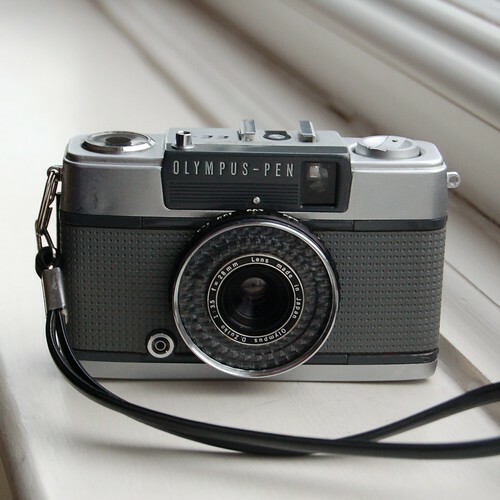 Over at Olympus the concept of a compact 35mm P&S was well under way. The PEN family of half frame 35mm compacts and SLRs began in 1959. Although the tide was swinging toward 35mm and smaller formats for P&S the 60’s still saw a range of models launched like the Agfa Isoly series. Those models had an influence in Hong Kong on the Diana and its many clones. Konica C35 EF. Shot taken by Tom Brogan. This work is licensed under a Creative Commons Attribution-NonCommercial-NoDerivs 2.0 Generic License. Bit of a no brainer here. 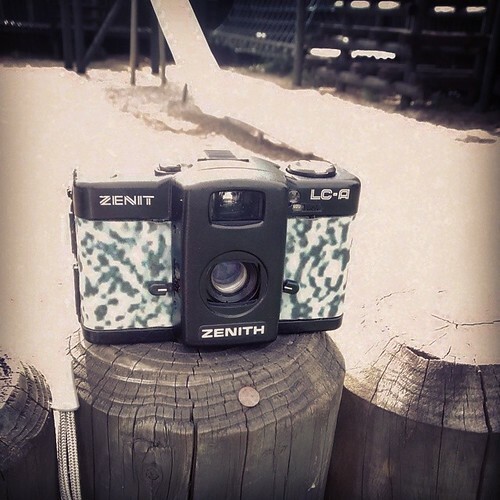 The C35EFwas the first 35mm compact with built in flash. It also benefited from excellent hexanon optics and this was one of Andy Warhol’s favourite Cameras Zone focus with full automatic metering this was basically a Konica C35V with simpler exposure and a flash bolted on the side. 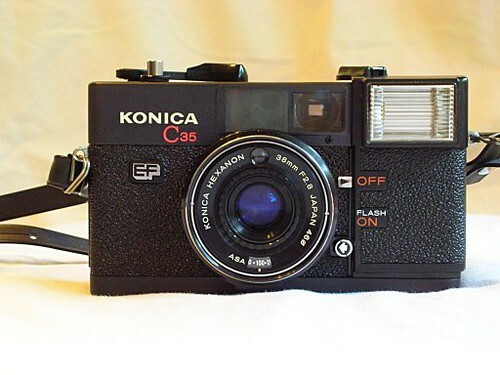 It would lead to a series of compact flash units from Konica including the popular fixed focus POP and the worlds first AF production camera the C35 AF in 1977. 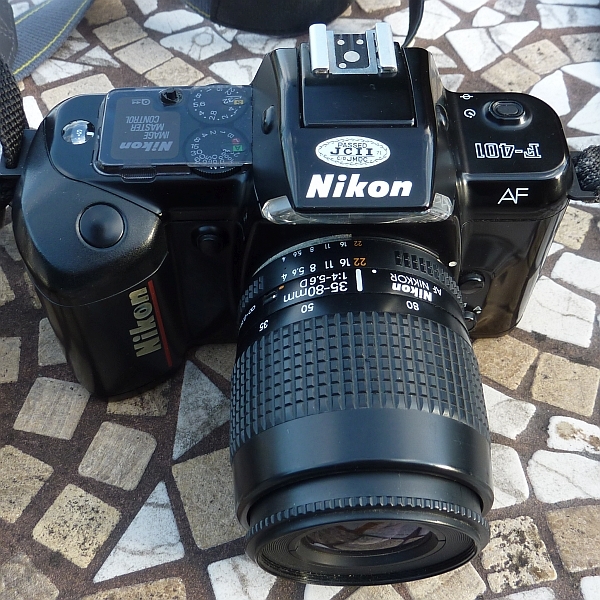 Although AF arrived in ’77 for compact cameras there was still an appetite for high end zone focus P&S (probably due to the cost and infancy of AF). Models like the XA2 and Cosina CX series illustrate just how compact a non AF P&S could get. APS film arrived in 1996 just when digital cameras were starting to get going. It was marketed as a modern easy load film with some advantages to the casual user over 35mm including 3 frame mask sizes that could be switched in at any point. Whilst others made quite bonkers cameras for it including SLR models, Canon quickly realised it was best suited to ultra compact 35mm models. 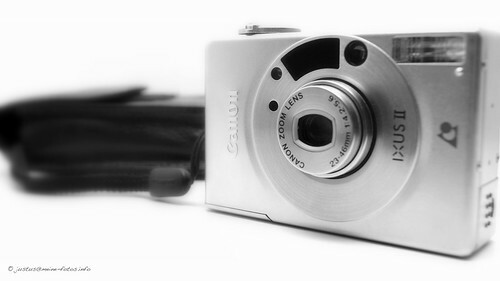 Their IXUS (ELPH in US) series was ultra compact but with pretty high end models. Canon IXUS II taken by Justus Felix. This work is licensed under a Creative Commons Attribution-NonCommercial 2.0 Generic License. APS died as a film format in production in 2011 (the last APS IXUS was released in 2002). It oddly lives on a a set of Digital sensor sizes (most Digital and CSC cameras have a sensor the size of an APS format and the IXUS name lives on as a compact digital camera series.